we found breakfast poor, although the staff were pleasant and helpful. Late in bringing out food at times so seemed to get shrivelled up eggs etc. Location is quite good Most of the reception staff very helpful. Hotel was to be expected. Dated but functional. Breakfast was average and didnt go near the dinners. The pool was nice and plenty of chairs available. The rooms were ok and basic cooking facilities and balconies were good. The whole experience was what I expected for the money so no complaints. Overall the hotel was 'good'. Beautiful pool and gardens, very convent location. Good variety of food, however would be difficult for vegetarian or vegan. I liked everything about this property. The breakfast was especially wonderful. Very good price. Overall everything works as it should, good value. Good AppHotel. Fast check-in, paid by credit card, they took adults passports for registration, returned 15 min later. Can find free stop to park the car not far from the hotel. Big, comfort, quiet rooms, with equipped kitchen. Nice pool, sometimes hard to find free sun beds. They have bar and live music at the evenings. Tennis fields, pin pong and billiard at the backyard - not used. We have ordered with HalfBoard - it was cheap. You have to pay for drinks at the evening. Located on the hill, walk down to the sea is 15 min, return many steps up ~ 25 min. Good location, access to restaurants and bars. Short walk to coast line. Cleanliness of hotel room is exceptional, maintained daily. Hotel staff also very helpful & friendly. Access to pool was a real plus for days when you wanted to relax and take in the sun. The pool was nice and kitchen is equiped. Balcony was nice and breakfast was ok. The staff was friendly. The bed was comfortable. The cocktails were good. Nice pool. 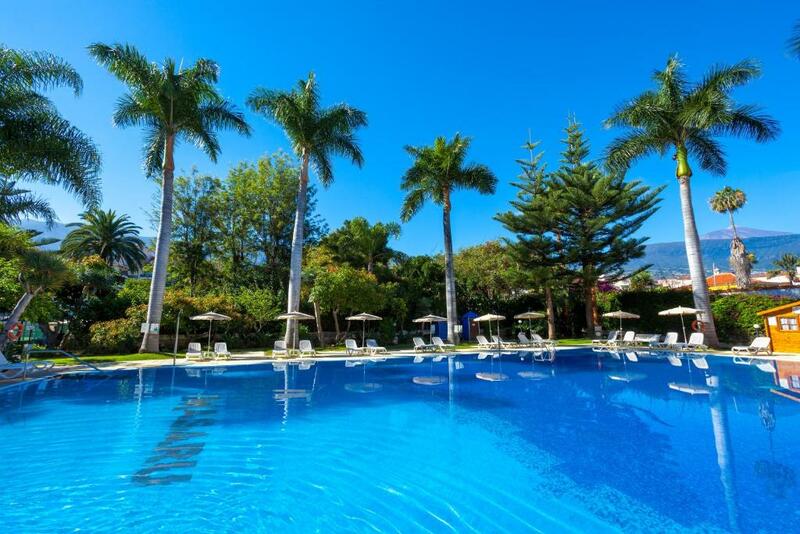 Old style design, friendly staff, nice pool, wide rooms. Lock in a great price for Apartamentos Masaru – rated 8.4 by recent guests! Apartamentos Masaru This rating is a reflection of how the property compares to the industry standard when it comes to price, facilities and services available. It's based on a self-evaluation by the property. Use this rating to help choose your stay! 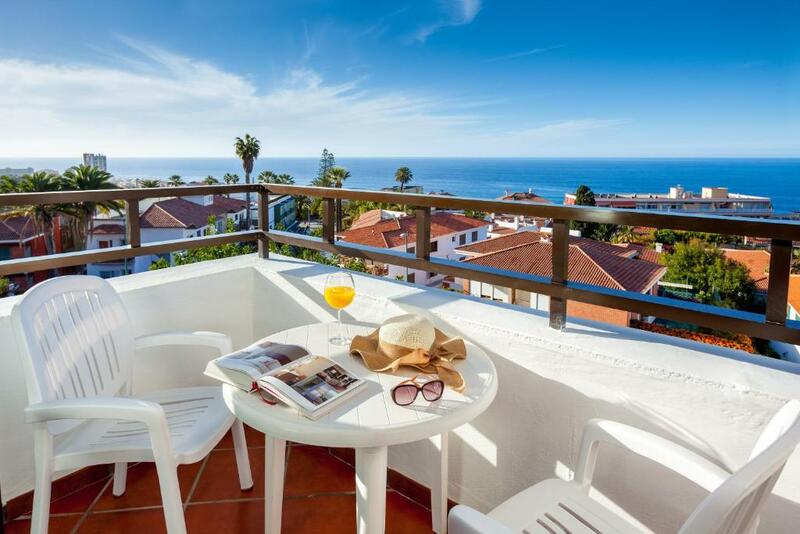 One of our top picks in Puerto de la Cruz.Apartamentos Masaru are located in the quiet La Paz district of Puerto de la Cruz on Tenerife’s north coast. It offers 2 outdoor pools, 2 tennis courts and lovely sub-tropical gardens. The Masaru studios have a private balcony as well as a living-dining area and a kitchenette. The apartments come with free Wi-Fi, satellite TV and a lounge with a sofa bed. All bathrooms come with a hairdryer. Pool towels are provided. A safe is available for an extra charge. The complex has a buffet restaurant as well as a café-bar where you can get snacks and drinks. There is also live children’s entertainment during the summer months. 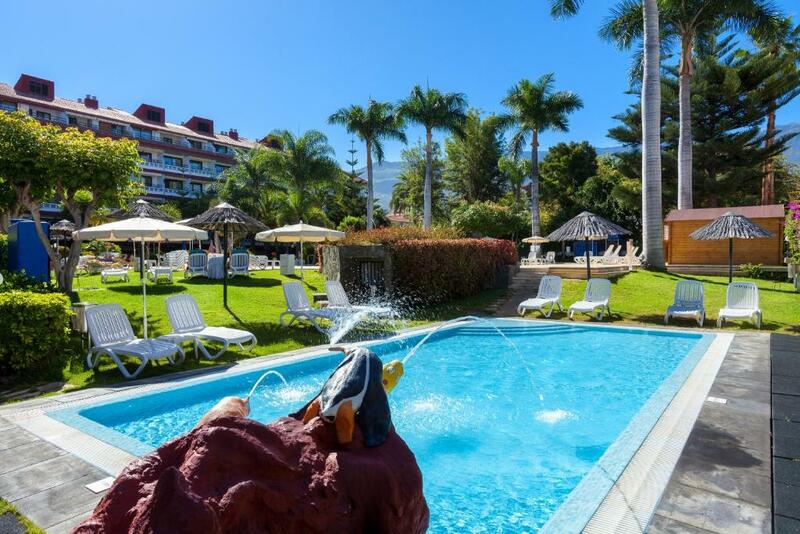 There are Botanical Gardens just 800 feet from Apartamentos Masaru and Rosaleda Golf Course is a 5-minute drive. Teide National Park with its volcano is 16 mi away. There is plenty of parking space around the complex, and buses to and from Santa Cruz and the beaches leave from nearby. 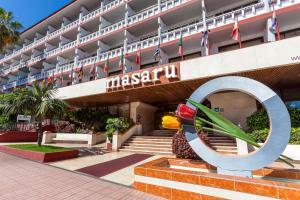 When would you like to stay at Apartamentos Masaru? This bright studio offers a 16 ft² terrace, free WiFi, TV and a safe with a surcharge. It has a seating area with a double sofa bed and a kitchenette with a kettle, microwave and fridge. 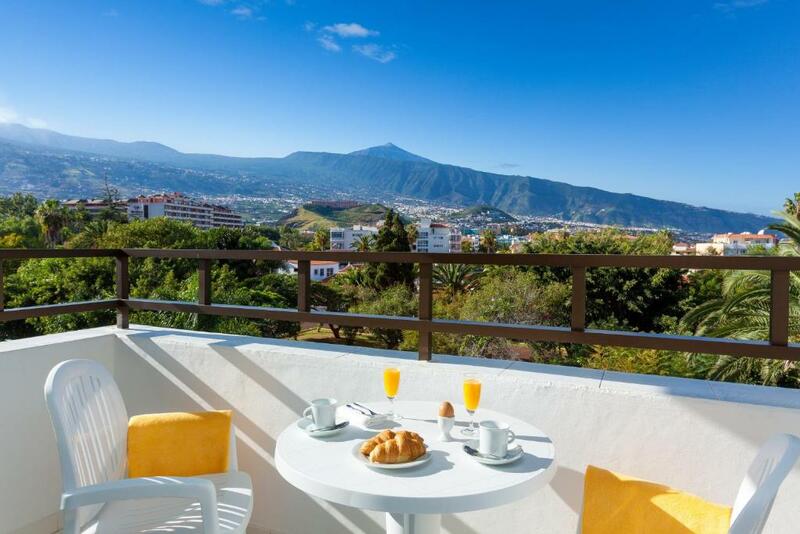 This bright, spacious apartment offers an 26 ft² terrace, free WiFi, satellite TV and a safe with a surcharge. It has 1 bedroom, a lounge with a double sofa bed and a kitchenette with a kettle, microwave and fridge. This bright, spacious apartment offers a terrace, free Wi-Fi, satellite TV and a safe with a surcharge. It has 1 bedroom, a lounge with a double sofa bed and a kitchenette with a kettle, microwave and fridge. House Rules Apartamentos Masaru takes special requests – add in the next step! Apartamentos Masaru accepts these cards and reserves the right to temporarily hold an amount prior to arrival. Please note, the half board rate refers to breakfast and dinner only; and drinks are not included. Please note that gentlemen must wear long trousers at the restaurant during dinner. Please note that apartments are cleaned everyday, except on Saturdays. Please note, the total amount of the reservation must be paid on arrival. Please note, Pool towels are available a deposit is needed. Children are considered to be 11 years and younger. The maximum capacity of the studios is 3, including children and babies. Please note that double beds are two twin beds put together with double bed linen. Please inform Apartamentos Masaru of your expected arrival time in advance. You can use the Special Requests box when booking, or contact the property directly using the contact details in your confirmation. the apartments are a bit old, and I was expecting a bit more. next time i will likely go for something more central and a bit more expensive to avoid disappointment. I am not sure there is airconditioning in the room. We came in a quiet cold weather so didnt need. Horrible breakfast, but on top of that the worst receptionist crew I have ever seen. From the very first moment of checking in they were mean, rude and disrespectful. Plumbing was quite old, so was difficult to set up comfortable water flow in the shower. Big hotel, everything is well organised like breakfast, check in, check out etc. Nice pool with not cold water. We always book with booking .com but on this occasion we didn't realise that we had to book per person so we had a VERY frosty welcome on arrival--we explained to the lady we would pay any extra but she made us wait in the foyer while she contacted the manager and said booking .com were always doing this. We know we appear to be at fault when we read our details, but having booked so many times to various places ie Four seasons Sydney etc with no problems ,but felt very put down on our arrival--booking .com and receptionist could have been more helpful. W did pay the extra, that was no problem just the humiliation of the whole start to our holiday. We have booked again for our next trip. That says it all! Although the bathroom was functioning well, it needs some renovation/refreshing. What is also weird is the deposit for the TV remote control. Another unacceptable thing - paid safe in the room. If you want to use it, it will cost something like 7 euro per day. That’s totally crazy and i have never seen this anywhere else. I also didn’t like the breakfast, some products were not really fresh. The location is just perfect, a little on the side, but in the walking distance from the center. It was easy to find a parking lot nearby. The hotel stuff was very friendly and always ready to help. I have requested a room with the ocean view, and I got it. Special thank you for this. Location Breakfast Pool and service staff in restaurants were excellent. Occasional noise late at night from nearby bar/restaurant to rooms on sea view side of hotel building. Comfortable accommodation, great location, lovely atmosphere, friendly helpful staff, good buffet restaurant with varied choice of menus. 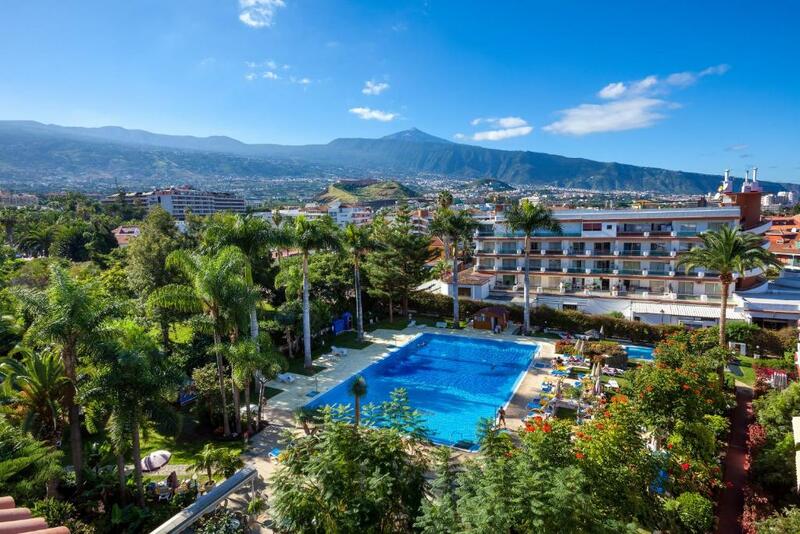 Excellent hotel, friendly staff, good location, great food. Highly recommended. The wifi connection was unstable at times. I think it was due to the location of our room, quite far from the lobby. Near the lobby the connection was better. 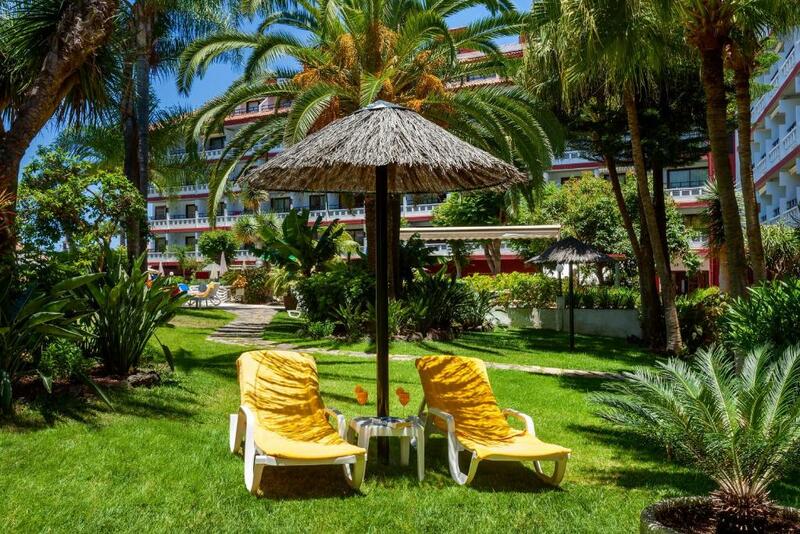 Staff was helpful, the room was very clean, everything worked well, except the wifi at times. Breakfast was good with plenty of different choices. Was a long steep walk uphill from the main town. Great view of ocean from my room. Very nice pool area. Smoking allowed on balcony. Shine up hotel and pool a bit - perhaps check some of the beds - one of ours were extremely soft - real pillows and bed linnen would make the hotel live up to the friendliness and helpfullness of the staff - the pool could use a shine up too. This does not in any way mean it was a bad place - we recommend it. Breakfast was OK, pool was nice and large, very clean rooms and restaurant, top service, a nice garden to sunbathe in not just poolside - great tenniscourts, lies in a nice location with bars and cafes and a great view. If you like running you can do an 8km of fairly flat route down by the water. It is a lovely place.